Oakton is one of the census-designated places (CDP) located in central Fairfax County. Compared to other towns in Fairfax, Oakton is not a densely populated area with the prevalence of single family homes, a sure winner over townhomes and condominiums. It is a quiet, unpretentious town ideal for those who are looking for a more laidback, slower pace lifestyle. An easy access to I-66 and Virginia State Route 123, and neighboring to the Vienna Metro Station give a hassle-free commute to Washington, D.C. and the beautiful Shenandoah Valley. This town is situated between Fairfax, Vienna, and Reston. Acreage and large homes are a common sight in this area. Still, the accessibility to the big city and more mainstream attractions is not compromised with Oakton’s access to the major highways and the Vienna Metro Station. The Vienna stop of the Washington Metro System allows residents the opportunity to drop by Washington, D.C. and Arlington with no hassle. Catching a Washington Capitals game for instance at the Verizon Center or a Redskins game at FedEx Field is a breeze any sports fan can do anytime! This convenient access allows for dining and entertainment as well, in Washington, D.C.
More recreation like shopping is just within the area or minutes away in neighboring Fairfax and Vienna. Oakton may seem like an unassuming presence in Northern Virginia, but being located in the middle of practically everything, it is a force of a town to reckon with. Setting up residence in Oakton is always a wonderful possibility! 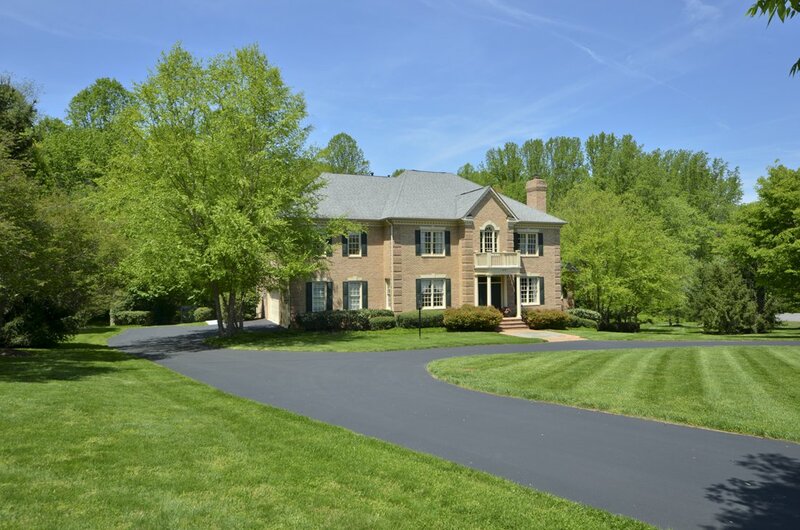 Hannah Hills is an area of luxury homes in Oakton made in a park-like setting. It is considered a premier location in Fairfax County, a convenient district to Washington, D.C. and some of the best schools in the state. This community is surrounded by lots of open space, commune of nature evident in the beautiful trees, lush landscaping, and peaceful surroundings. Large luxury homes line the neighborhood. James Madison High School in Hannah Hills is one of the twenty eight high schools of the Fairfax County Public Schools and was ranked in the Top 100 best high schools in the country and third in Virginia in 2014. Fairhunt is one of Oakton’s favorite communities. Not far off Stuart Mill Road, Fairhunt is a gorgeous enclave of nine luxury properties on 45 acres of woods and trails in the heart of Oakton’s horse country. What makes this community more appealing is that despite being in the center of tranquil and nature, it is only minutes away from Oakton’s hustle and bustle! Fairhunt is conveniently located near shopping and dining places of Oakton and Vienna; the Tyson’s Corner, Fair Oaks Mall & Reston Town Center. Each home in this beautiful neighborhood is built on at least 5 acres to meet the desired elegance and quality of living. The Hunter Valley riding Club is also located nearby where Fairhunt residence can join the riding club and take lessons in the show ring. Oakton may be a cozy, quiet suburb but it nevertheless is full of fun and fascination, especially for visitors of this affluent and peaceful city in Virginia. For one, The Farmers’ Market is frenzy of activity all year round, particularly every Saturday from 10 am to 2 pm in Oakton, whereas in some areas, the market only takes place on a seasonal basis. In addition to the Oakton Shopping Center located in downtown Oakton, there’s the popularity of Tysons Corner Shopping Center and the more upscale, The Shops at Fairfax Square. There are two public schools – Oakton Elementary School and Waples Mill Elementary School. Fairfax County Public Schools operate the public schools in Oakton. Local high schools are Oakton High School and James Madison High School.